Greetings to you on a beautiful day here in Ohio! Haven’t made it up to the studio yet, but I plan to get there. Hope you can, too. 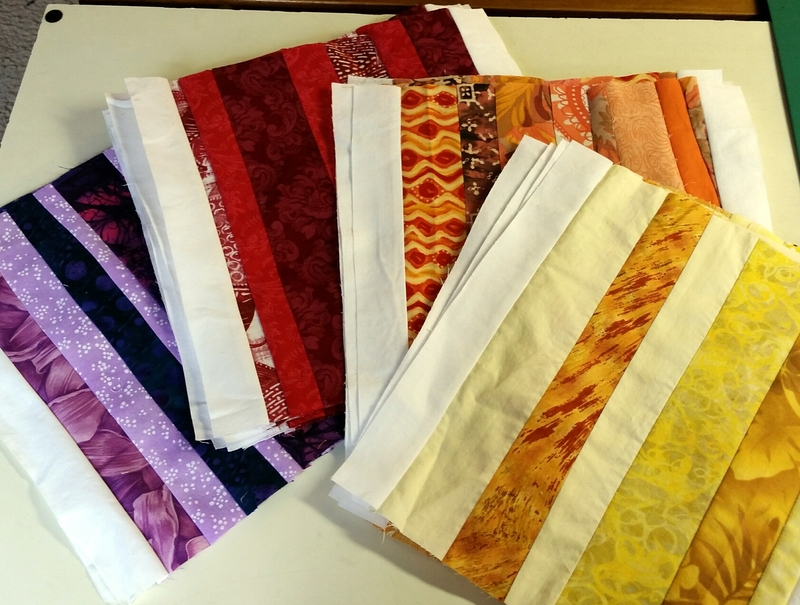 This week I completed some things, and didn’t buy any fabric! 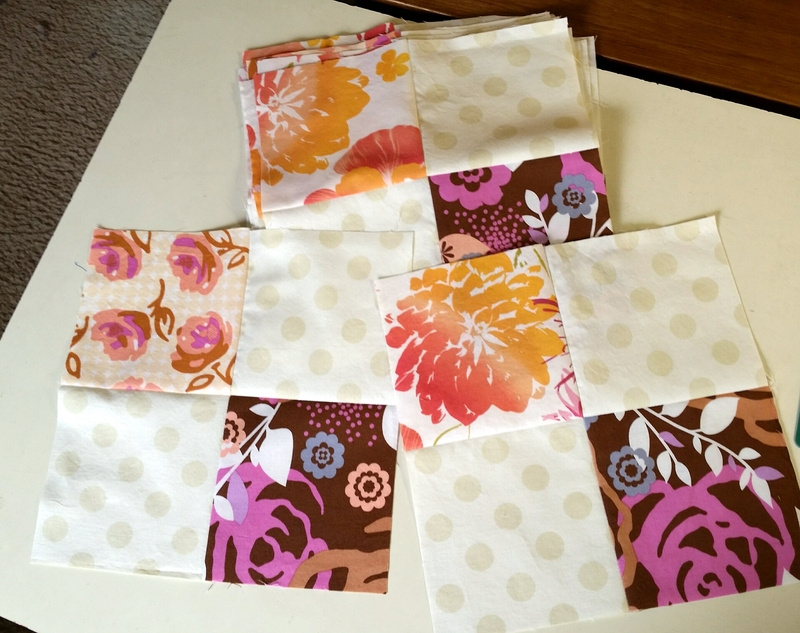 These 21 blocks for Kat’s Covered in Love project used 1.75 yards. (And that was every string I had in these colors, Kat!) 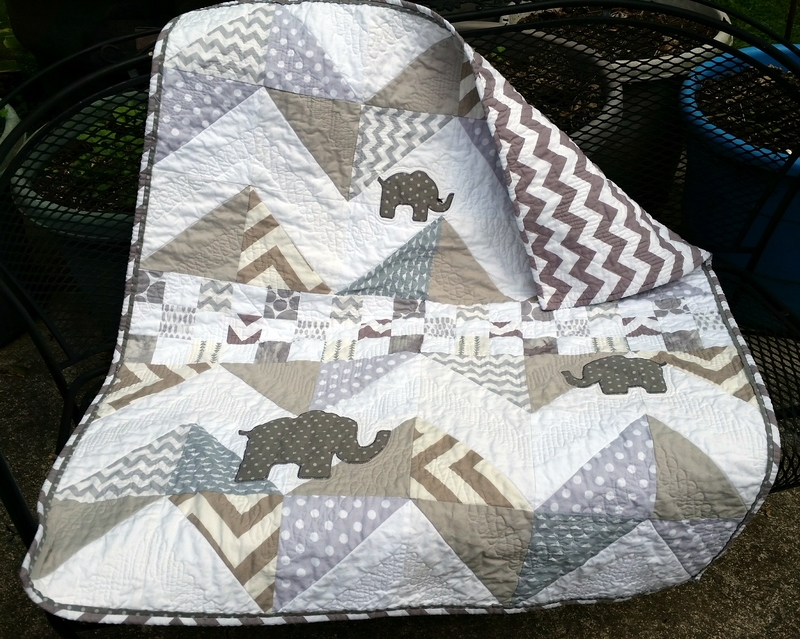 And I made this Elephant baby quilt for a commission, 3.5 yards. Now I’m wondering what to do with all my muddy or multicolor or otherwise odd strings. Any ideas? This week I made a commissioned baby quilt. It’s the tenth elephant/Star Wars chevron quilt I’ve made, by my count. And I completed the first step of the Layer Cake Explosion quilt along by Angela Gross. So, yes, making some progress here. So some was used, but some was purchased. 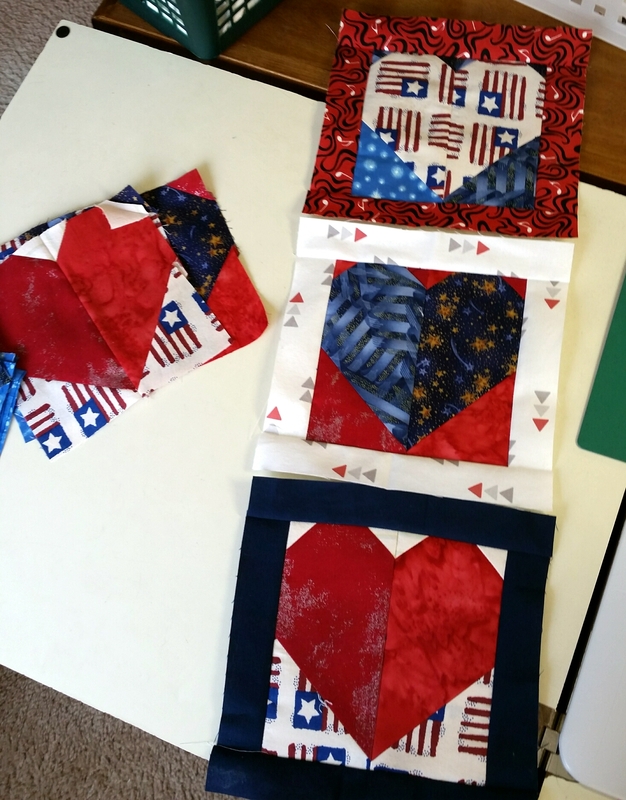 I used 1.75 yards to make these two very patriotic, very scrappy wall hangings (for my shop). Then I bought four yards of fabric, partly for a commission I began today. Eh, it’ll come back up. Many things are in the works!